The Transmission Company of Nigeria (TCN) said it has achieved a new power generation and transmission peak of 5,375MW to the national grid. The General Manager (Public Affairs), Ndidi Mbah, in a statement recalled that the last peak generation of 5224 MW which was also successfully transmitted by TCN, was attained on 18th December, 2017, adding that it has now been surpassed by the new peak of 5375MW. According to her, the current capacity of Generation companies nationwide is 7,450MW which is expected to significantly increase with the expected recovery of all the generators at Egbin by the management of Sahara Energy. The capacity of Transmission based on the simulation of December 2018 is 8,100MW. She said since the last simulation several transformers have been added to transmission just as she added that with the new combined peak, Distribution companies have also increased capacity. However more work is needed on the Distribution capacities for the sector to fully stabilize. 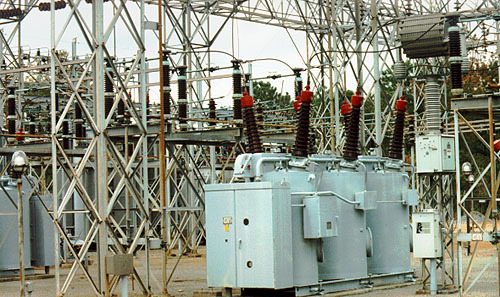 TCN has continued to upgrade critical transmission infrastructure nationwide with the commissioning of over 40 power transformers and lines in the last two years, building of seven (7) brand new substations, diligently pursuing its Transmission Rehabilitation and Expansion Programme which is encapsulated in its 20-year transmission Expansion Plan. As at date, TCN’s wheeling capacity had increased from 5,000 in 2016 to 7,124MW in 2017 and 8100MW in 2018. The statement further said that unlike in the past, TCN is not only focusing on Grid Expansion but also on the quality of the power. In that respect, TCN achieved frequency control of between 49.50Hz and 50.50Hz between May 2017 and November 2018 which had not been achieved in the history of Nigeria for the past 20 years. From December to date, TCN equally achieved the best frequency control of between 49.75Hz to 50.25Hz for 85% of the time which is the best ever witnessed in the history of the Nigerian power sector.